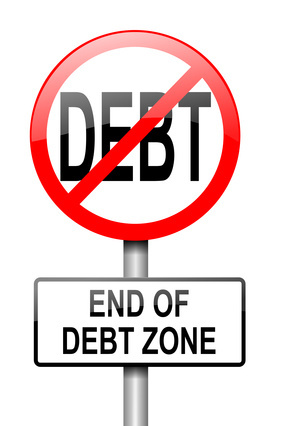 People who are struggling with debt want one thing the most and that’s to get rid of it. The problem with debt is that it just won’t go away. It’s like a crazy aunt who comes to visit and refuses to leave. In fact, there are only two ways to get rid of debt. One is to pay it off. The second is to file for bankruptcy. And even a bankruptcy won’t discharge all of your debts. There are several different ways to bite the bullet and pay off your debts. The problem is that most of them will take anywhere from two to five years. Fortunately, there are is four top ways to earn money that could help you get you out of debt in less than two years. If you’re the major wage earner in your family, the most common way to earn extra money is to take on additional shifts where you work or find a part-time job. Jobs like this in the hospitality restaurant industry don’t pay a great deal but if you were to work just 10 hours a week at $12 an hour, you could earn $480 extra a month (pretax), which could go a long way towards getting rid of those debts in just 12 to 18 months. If you’re staying at home to raise your kids, there are good ways to earn money that could help retire those debts. For example, you might be able to get a job as a school bus driver. Where I live these jobs start at $16 an hour and require only 20 hours a week split up between mornings and afternoons. This might work well with your kids’ school schedule. If not, there are a number of work-at-home jobs available. You might be surprised at the companies that hire people to work at home as customer service representatives. As an example of these, the company Indeed.com’s website has more than 30 pages of jobs, many of which are work-at-home jobs for companies such as Geico, JetBlue and Wells Fargo. Whether you’re the primary wage earner or a stay-at-home spouse, there are ways you can earn extra money by capitalizing on your skills. If you’re very good at math, language arts or the sciences such as chemistry, biology and physics, you could parlay these skills into becoming a tutor. Good tutors earn anywhere from $25-$45 an hour. If you have good design and crafting skills, you could make items and sell them on eBay or Etsy.com. It costs just $.20 to list an item on Etsy for four months or until it sells. When it sells, Etsy then takes a 3.5% sales commission but this means that if you were to sell something for $100, it would cost you only $3.50, which is very reasonable. You can also sell “vintage” items on Etsy or stuff that’s more than 20 years old. Think about the stuff you have sitting in your basement or attic. The odds are that you already have some vintage stuff and if not, you should be able to easily find some at garage or estate sales.